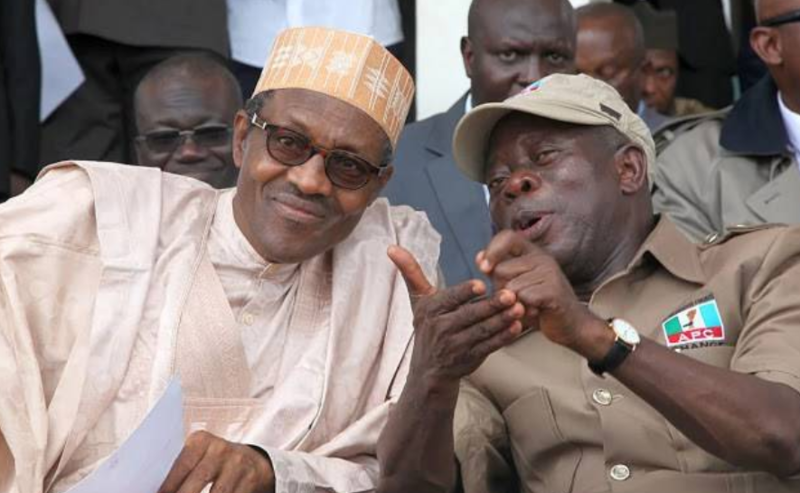 The national chairman of the ruling All Progressives Congress (APC), Adams Oshiomhole, has said the 24 governors elected under the platform of the party stayed away from the inaugural meeting of the Presidential campaign council simply because “they are governors”. Recall that none of the governors were present Thursday at the inaugural meeting of the council chaired by President Muhammadu Buhari. Speaking on why the governors and some leaders of the party were absent, Oshiomhole said: “because they are governors, they are governing their states. “Don’t forget that elections are not defined in Abuja, it will take place in the 36 states and I am sure there are APC members who are campaigning for the House of Assembly, various federal house and senate constituencies, governorship constituencies. “So it will not be helpful to bring them to Abuja. Here, it is about policies, it will be consummated and translated to practice across the 36 states, 774 local governments and wards,” he said. Oshiomhole said Thursday’s meeting was convened to discuss the activities and calendar of campaigns capturing various interests group within the country. The APC chairman said Buhari’s constituency is “the whole country” and “he will have to visit each of the 36 states with appropriate messages”. “You know in the country today , given the challenges of survival, people tend to forget where we are coming from, they just look at where we are. “There is a saying that except you know and remember where you are coming from, you cannot appreciate where you are. “Even in the life of a man, those who look at those in their front will never thank God enough but when you look at your back and see those behind, then you will appreciate that you have made a lot of progress,” he said. He said the APC needs to constantly remind Nigerians of what happened in the last 16 years and what has changed over the past three and half years, even more what will happen over the next four years if given the mandate to continue. “You know that the business of construction is even much more challenging than when you are building a complete new house. Oshiomhole said the APC has “enough message” for Nigerians but are facing the challenge of communication due to the varyi varying degrees of literacy. “And in this business of ‘one man one vote’, whether you are a professor of economics or a stark illiterate, the vote is the same,” he said.